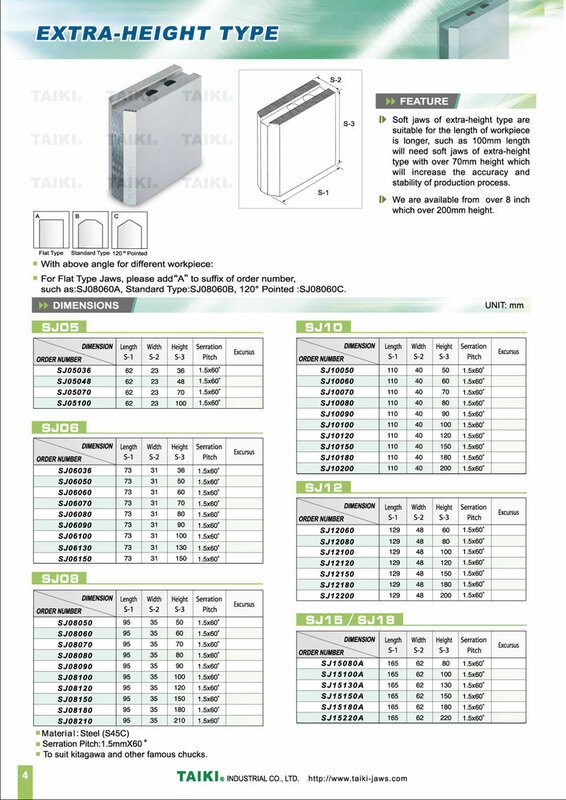 Soft Jaws (Extra - Height Type)(SJ08080B) - Taiki Industrial Co., Ltd. The soft jaws - extra - height type (SJ08080B) is used in CNC lathe. Soft jaws for extra - height type are suitable for the length of workpiece is longer. Such as 100mm length will need soft jaws of extra-height type with over 70mm height which will increase the accuracy and stability of production process. We are available from over 8" which over 200mm height.